A house extension or a well-designed house extension? There is a difference. Here at AJ Walton Architecture we take pride in transforming homes by maximising space and adding to the market value. This relies heavily upon creating meticulous, well-designed plans by our team of Architectural Designers. Extending and subsequently improving your home in order to meet your family’s needs, is often a more attractive and cost-effective option compared to uprooting and moving home. Use this guide to help you maximise your property's potential. What is it you would like to change about your home? Another bedroom? A bigger kitchen? Simply state what you would like your extension to give you. 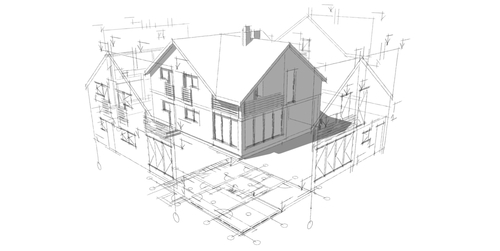 This will form the basis of a good brief for your house extension project and allow us to offer professional advice in order to help you achieve your proposal. HOW WILL YOUR HOUSE EXTENSION BLEND WITH YOUR EXISTING BUILDING? 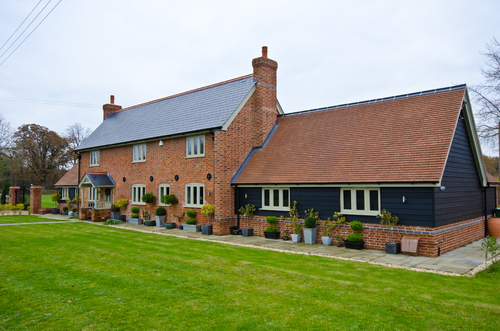 Creating a seamless extension is of paramount importance to us here at AJ Walton. This can be quite difficult to achieve due to the need to source matching materials and put old and new together. It is often a fine balance to source and use reclaimed materials together with new materials. An alternative option is to extend in a deliberately different style, such as creating contrasting styles, for example, blending period and contemporary features. If you wish to sit back and relax safe in the knowledge that your extension, alteration or conversion is being looked after by qualified Chartered Surveyors and Architectural Designers who possess attention to detail, don't hesitate to get in touch. We do everything from start to finish. We take the measurements, draw up the well-designed plans and submit the relevant information to the Local Authority Planning Department. Based in Newcastle and North Shields covering the Tyne and Wear area, we are well positioned to get the job done and are ready to hear from you.